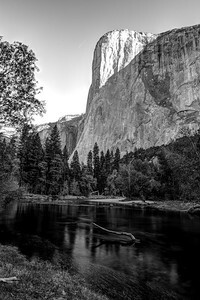 This is world famous view of Yosemite valley, immortalized by Ansel Adams. 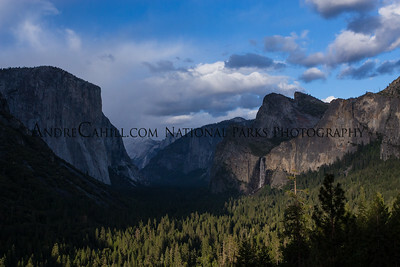 This panorama from Tunnel View shows Yosemite valley floor, bounded by El Capitan on the left and Cathedral Rocks and Bridalveil Falls on the right. 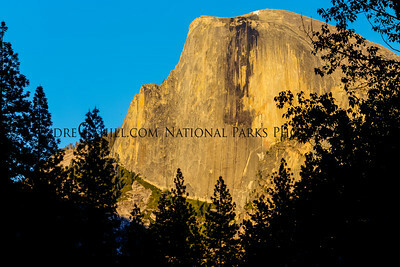 Beyond are Sentinel Rock, Half Dome, and Cloud's Rest. 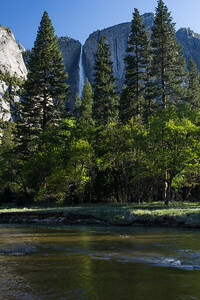 One of best views of Upper Yosemite Falls, and tree lined Merced River from Swinging Bridge in the morning. 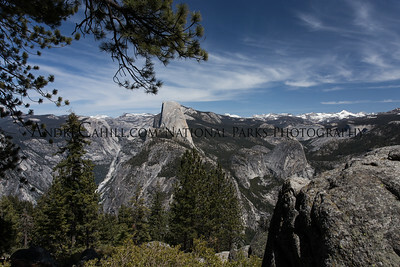 Glacier Points and Washburn affords magnificent views of Half Dome and Vernal and Nevada and Yosemite Falls. 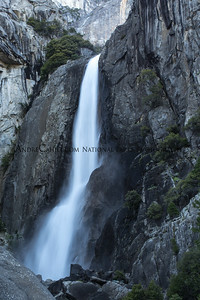 Yosemite falls drops 2,645 feet in three sections and this is a close up view of the lower section. 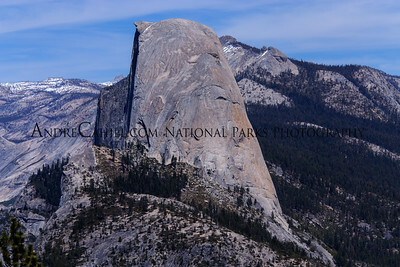 This photo was taken from Bridalveil's base. 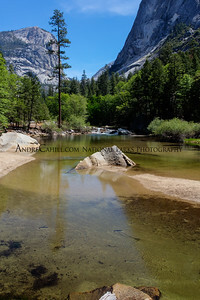 You have to continue to clean your lens from spray but it worth the effort. 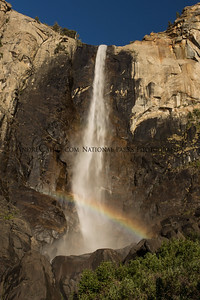 The rainbow moves up the fall in the afternoon. 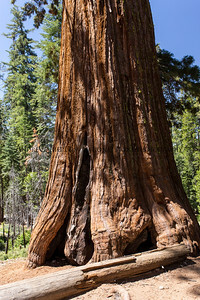 Mariposa Grove is Yosemite's largest and finest grove of giant sequoias trees. 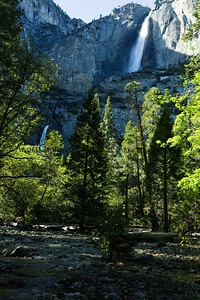 Damage from 2013 forest fire can be seen in this area. Lucky the fire fighter saved this beautiful treasure. 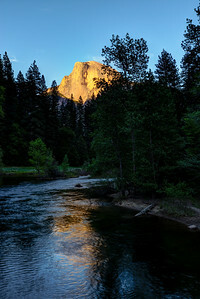 The setting sun adding gold to Half Dom, with reflected from Merced River from Sentinel Bridge.